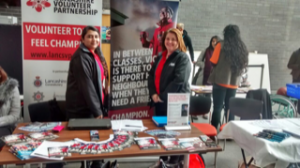 We have had a fantastic week meeting lots of enthusiastic students across Lancashire. 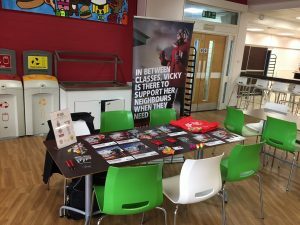 We have met A Level, BTEC students and Apprentices at Blackburn, Preston and Runshaw college and University students at UCLan and Blackburn. 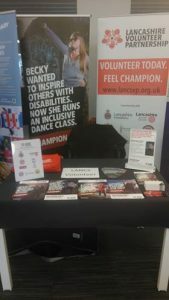 Enquiries have ranged from Sporting students keen to get involved in outdoor activities, people keen to join Lancashire Constabulary Special Constables and people looking to engage on a one to one basis in the community. It has been a pleasure to meet so many aspiring students. Blackburn College and University Centre.